In 1971, an unidentified man (referred to as "D.B. Cooper" by the media) hijacked a Boeing 727 and received $200,000 in ransom money before escaping mid-flight via parachute. 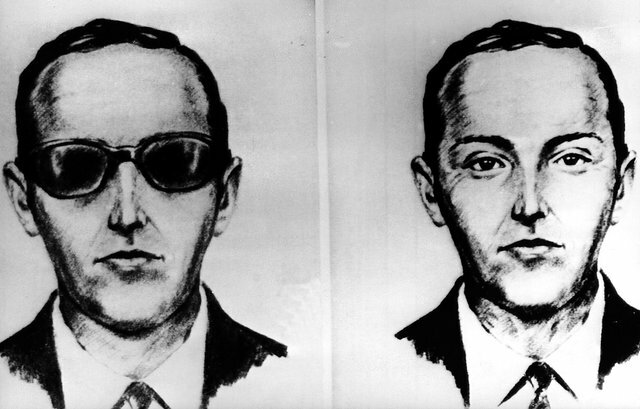 It's the only unsolved case of skyjacking in American history, and although the FBI officially closed its case on the incident last July, that hasn't put a damper on rampant speculation about who Cooper really was. Now, it looks like newly uncovered forensic evidence might just give us an answer. It all stems from a clip-on tie that Cooper left behind on his seat: after examining the tie with a electron microscope, a team of scientists (working for a group called Citizen Sleuths) have identified more than 100,000 "rare earth" particles including Cerium, Strontium Sulfide, and Titanium. That might not mean much to you, but lead researcher Tom Kaye points out that these elements would have been very uncommon in 1971. Their presence in the tie suggests Cooper might have been an engineer or manager at an aerospace firm -- specifically Boeing, whose Super Sonic Transport plane notably utilized those same materials. If it's true, this would narrow the search for Cooper's identity considerably. The logic behind focusing on the tie is pretty sound, since ties are the one thing people tend not to wash. Kaye's team was given access to the FBI's case files in 2009, with the TV show Expedition Unknown providing funding for the extensive particle analysis in 2016, and Citizen Sleuths has released its findings to the public in an effort to breathe life into the ice-cold case. That said, this evidence doesn't get us any closer to discovering Cooper's ultimate fate: did he survive his parachute descent from the plane and escape to spend his ransom money? Your guess is as good as ours -- unless your guess has something to do with 2004's Without a Paddle starring Seth Green and Matthew Lillard. In that case, your guess is much worse.